Scores of unemployed youth and activists staged a vigil in Suez Wednesday, demanding the release of peers arrested by the Armed Forces earlier in the week. Seven of the detainees are accused of forcing the closure of Port Tawfik's habor during a previous demonstration calling for jobs. 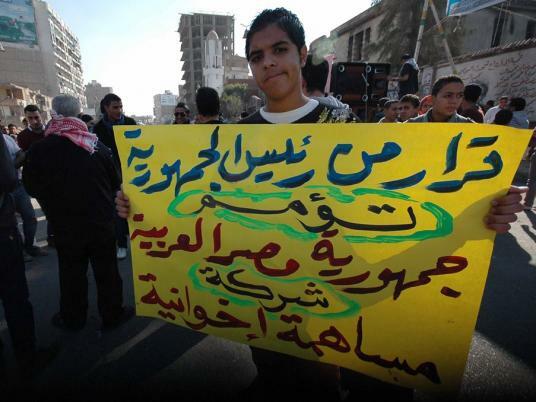 The protesters chanted anti-government and Muslim Brotherhood slogans, saying their peers had not committed crimes. Instead, they were simply calling for employment initiatives and work opportunities. The Port Tawfiq habor re-opened Wednesday after being shut for 48 hours.